We can feed our hunger for connection by eating seasonally and also by buying directly from small farmers at the farmer’s market. Forming relationships with the people who grow our food, and taking up opportunities to visit their farms, is a healing practice. It is important for the farmers as well. The majority of small farmers are not in it for the money – farming is no longer lucrative. They do it because they have a love of independence, because they love working with the land, and often because they believe in building a food system that is based on relationship. They get immense satisfaction when their customers take an interest in their farming practices and in how and why they grow their produce. As I was at the farmers market on Friday morning I was thinking about why buying local is so important to me. It’s about a lot of different things, including health, but most importantly, it’s about directly supporting small farmers and producers in my community. The truth is that many things I buy at the market could be grown in my garden, now that I have more than enough space, but I want to invest in the local food web not just for myself, but for others who can’t grow their own. I want to get to know the person nurturing the chickens that produce the meat I purchase for our cats and dogs. I want to chat with the lady who makes the cheese. It’s very important to me to encourage those that have taken on the burden of growing good healthy food for those in their community even before they had customers to purchase them. Personally, I believe we’re heading down a dangerous path with our food in this country. Far too many people are expecting the government to draft legislation for the changes they want to see happen with the food system. What it really takes to spur change is for people to put their money where their convictions. We’ve chosen to invest in our community and it’s good to know that there are others out there like us. I know that should anything ever happen the folks at the local farm will continue providing milk for those of us who purchase from them. We won’t have to worry about not having cash to pay for it. They in turn know that if they ever need our help, we’re willing to step up as well. This is what community is all about and I’m certainly happy that we embarked on this road a few years ago, it certainly has been rewarding! Are there any changes you’ve made in your life over the past couple years that you’re starting to see the rewards from? The room upstairs that we’re in the process of redoing was equipped with plastic mini blinds. Exactly like the ones that were in every single dorm room window at the college that Mr Chiots and I both attended. Needless to say, they didn’t stick around when we redid the room. They were replaces with nice wooden blinds from IKEA. These are great blinds, they look fantastic and are very inexpensive. They’re not the ones I would pick if I was buying them for life, but they’ll do for now. Eventually we’re going to redo the house and all the windows will be removed and replaced with larger windows. They’re also nice because you can adjust the length so they look like custom blinds (which I hadn’t done in the photo below). These ended up being the perfect size for our windows. We originally purchased a set of these for our upstairs bedroom build when we lived in Ohio, we liked them so much I decided they would work perfectly here. Now I just have to replace 6 more in various rooms! Of course I much prefer a more sheer floor length curtain instead of blinds, but the windows can use the extra insulation that these provide. Eventually I’ll make curtains for this room as well, but probably not until I find just the right fabric. These are also nice because they darken the room considerably when closed, no doubt guests will appreciate that when they’re visiting. What kind of window coverings do you like best? I always have a tiny notebook and a pen in my purse. Mostly, I use it to jot down notes, lists of things I need and other important information. In this little notebook I also keep pertinent information that I might need while out and about. This particular notebook is filled it information on local farms and sources for local food. I’m not particular to brand of notebook, I’ve had a wide variety. This past time I needed new ones I got Field Notes“>Field Notes brand and I really love them. They’re the perfect size and not too thick. I’m also a HUGE fan of quadrille paper so that makes me really love these! Are you in the habit of carrying a notebook with you all the time? I’ve been working on hand quilting a quilt that I made a few months ago. The original plan was to quilt it on my machine, but it’s not the best machine and I didn’t like the way the first row came out. Since I wanted this quilt to be a little more relaxed in feel, I thought hand quilting was the way to go. The only problem was that I didn’t have a thimble. After finished a quarter of the quilt, my finger was very sore. Then I remember an old leather riding glove that Mr Chiots had picked up in a parking lot once. It was stashed in my sewing scrap box. Off to Google I went and found this pattern to make your own leather thimble. After a few minutes of work my thimble was ready. I didn’t have to run to the store or spend any money and since I made it myself it fit perfectly. After using it for only a few stitches I knew it was perfect, it’s one of the best things I’ve ever made. You can bet that I’ll be keeping my eyes peeled for soft leather gloves to make thimbles for my sewing box. I love it when I can avoid purchasing something by making it myself. It’s even better if I can use found object for my supplies. Whenever I can make do with something I feel like I’ve won the lottery! Have you made something for yourself recently to avoid purchasing it? 5×5 Challenge: What to Grow? 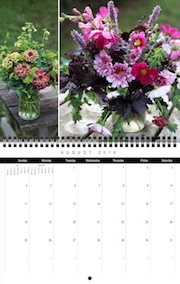 Last year my choices for the 5×5 Challenge were easy, I was using the Rainbow Kitchen Garden Collection from Renee’s Garden. This year I plan on trying different vegetables. As a beginner, you may wonder how to choose which vegetables to grow when you only have a small space? First, you have to look at what you like to eat. If you hate zucchini, don’t grow it. If you love using fresh herbs, fill your garden with fresh herbs. If you hate salad, don’t grow lettuce, plant basil instead. Second, grow vegetables that mature quickly so you can make the most of your space. 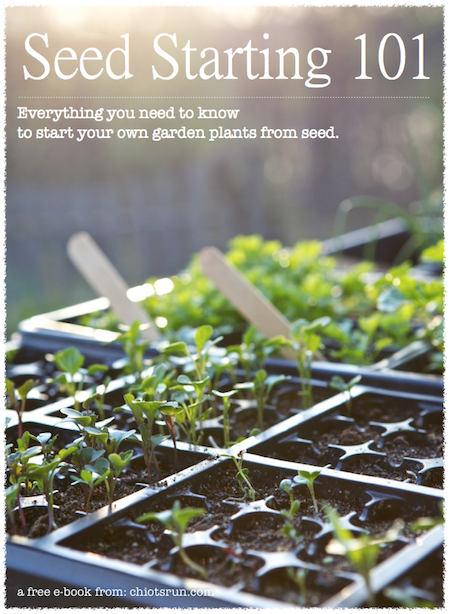 As a beginner, you’ll enjoy the garden much more if you’re harvesting vegetables often. Lettuces can be a great beginning vegetable, though they can be susceptible to slugs and other pests. Growing something like potatoes that are planted in spring and aren’t harvested until late summer isn’t the best option for your garden space. Third, grow vegetables that maximize your space. For example, even if you love broccoli, it’s not really the best choice when you only have a small space. It takes a few months to reach harvest and only provides one head. Garden peas are the same, they mature in about 60 days, but it takes a lot of pods to make a bowl of peas. You’re better off growing something like lettuce and herbs that reach maturity faster and will provide more harvest from the same space. Some vegetables and herbs will also grow back after being harvesting, thus allowing two or three harvests from the same space. Fourth, grow what will save you the most money. If you can buy a head of local broccoli for a few dollars there’s no point in growing it when you can grow a few pounds of lettuce or herbs that would cost you much more to buy. Zucchini is very inexpensive to buy when it’s in season, spinach is much more expensive to purchase. I grow a lot of cilantro because we really enjoy it and it’s expensive to buy. Growing it allows me to save lots of money, I also love that it grows back after cutting and will seed itself down from year to year. Which vegetables would you recommend to a newbie as quick to mature?